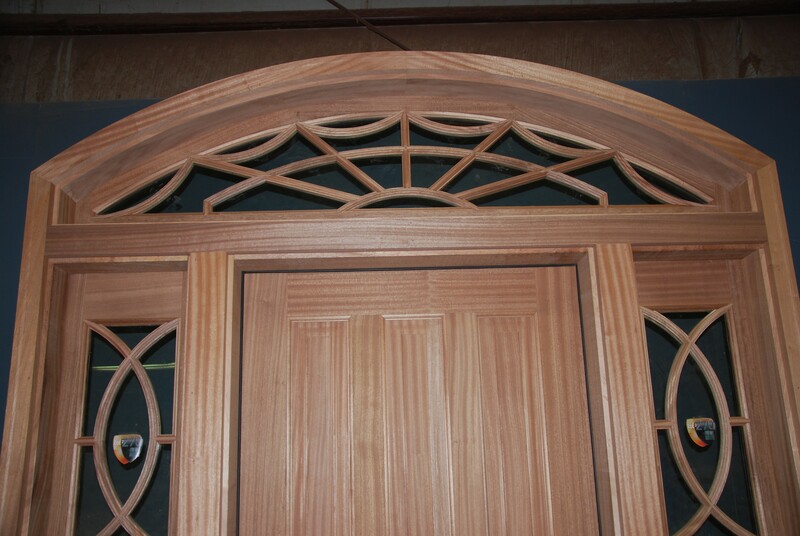 Interior units are furnished with either single or double rabbeted jambs, also relieved for stability. 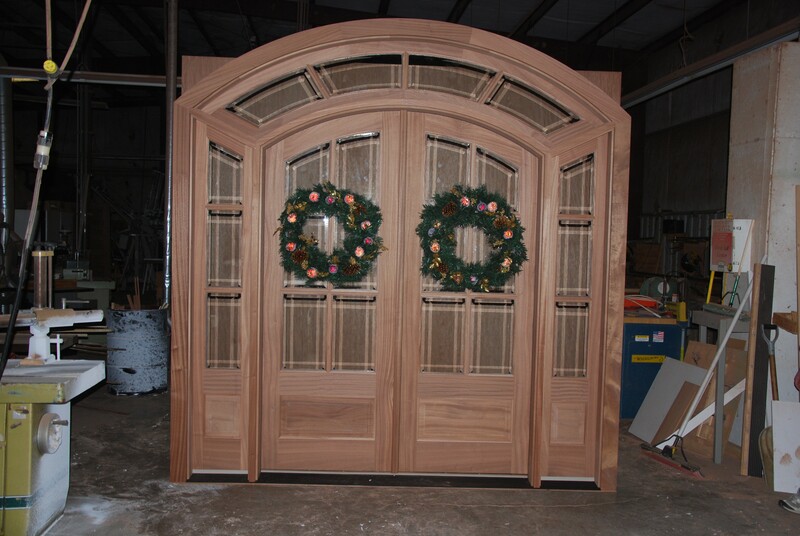 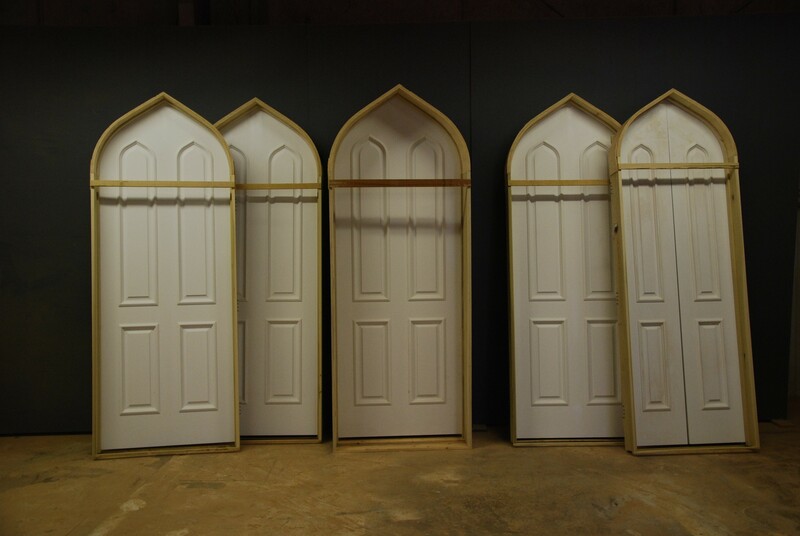 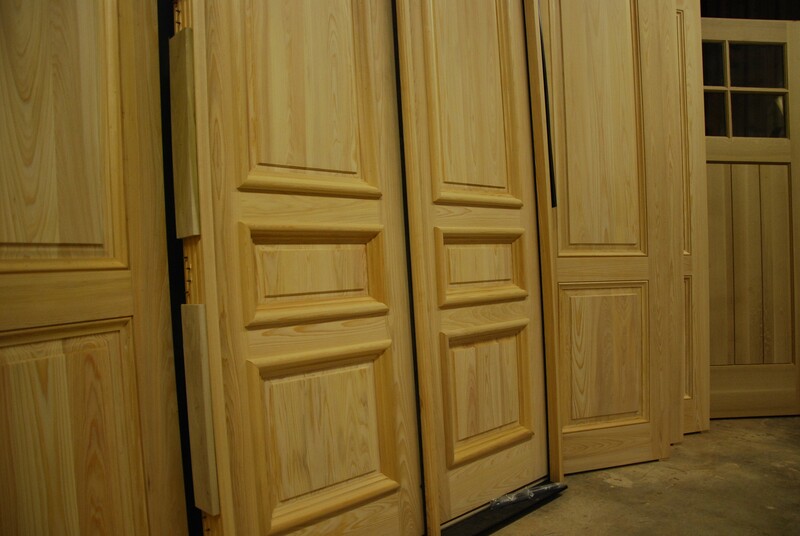 All of our door units are tested before shipment to assure proper hand and swing, locking if applicable, proper reveal, and they are beveled for proper operation. 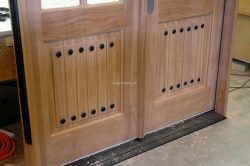 We use ball bearing hinges in all finishes. 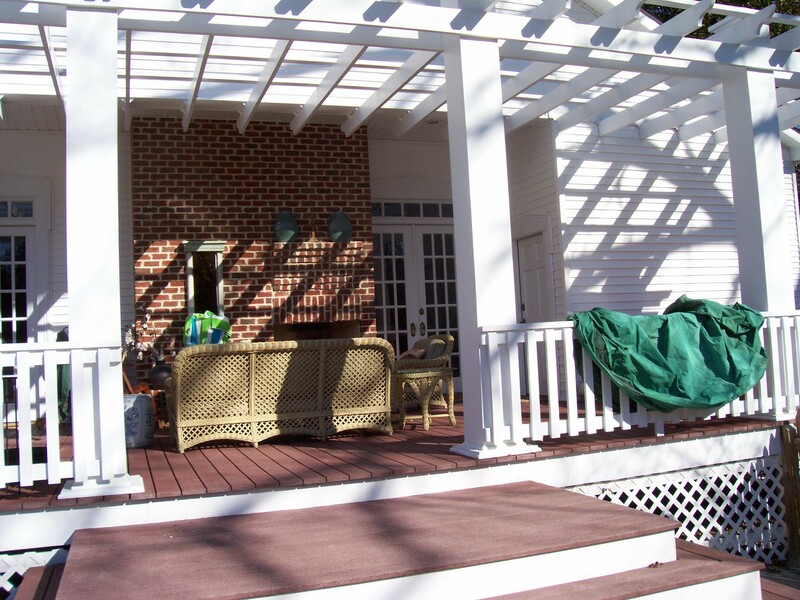 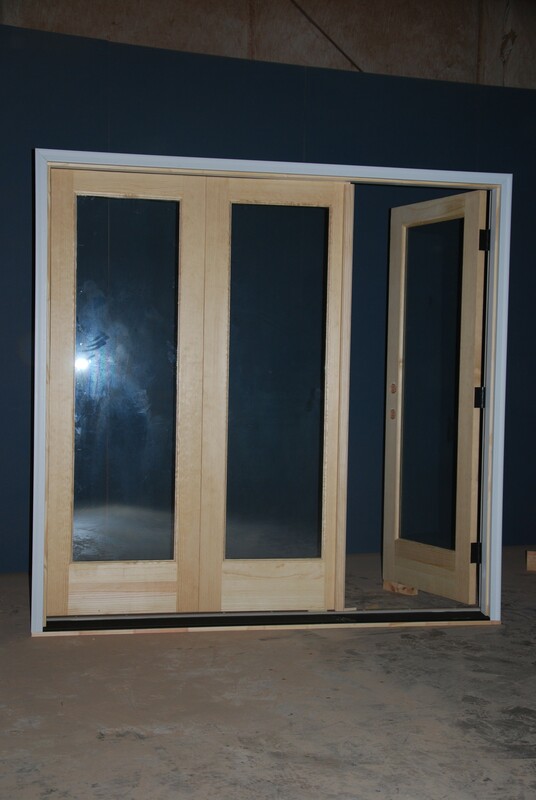 Many sill and threshold configurations are available in metal, wood, and handicap. 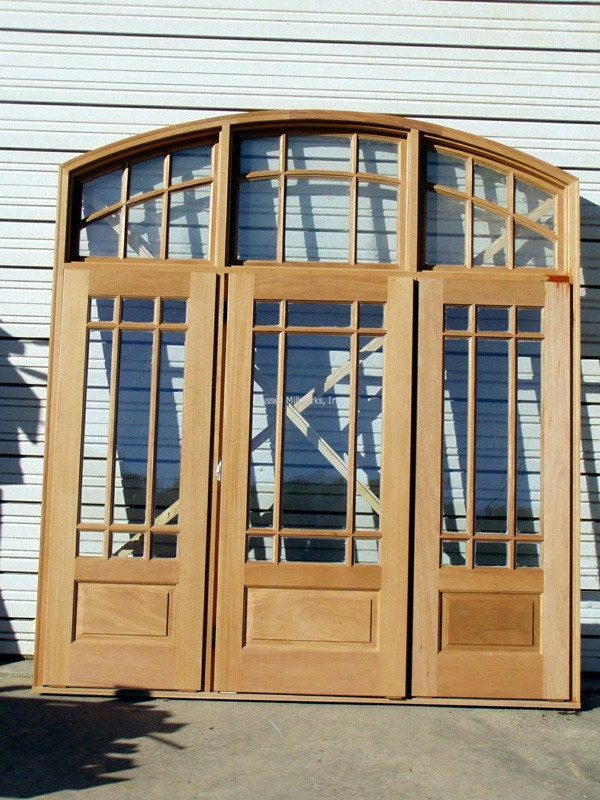 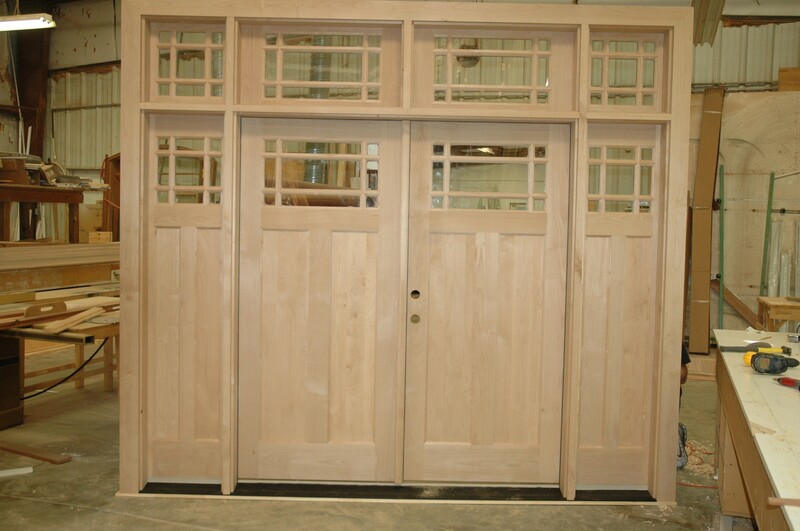 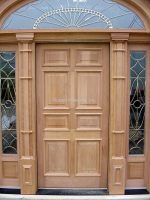 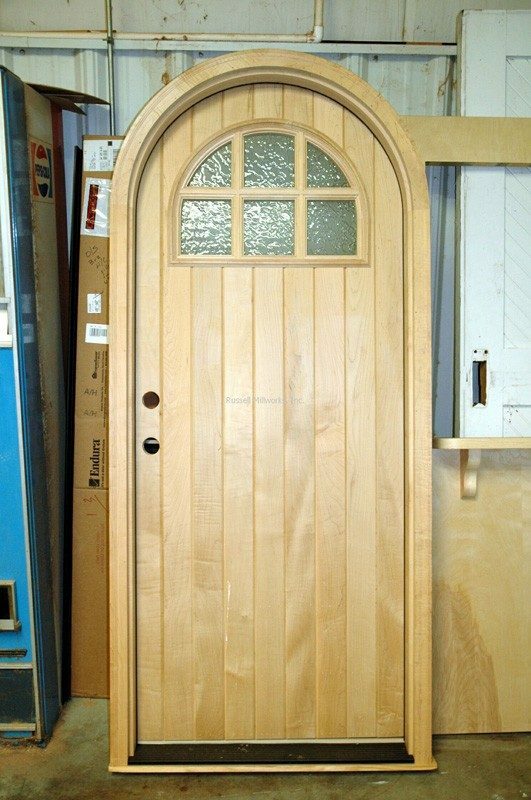 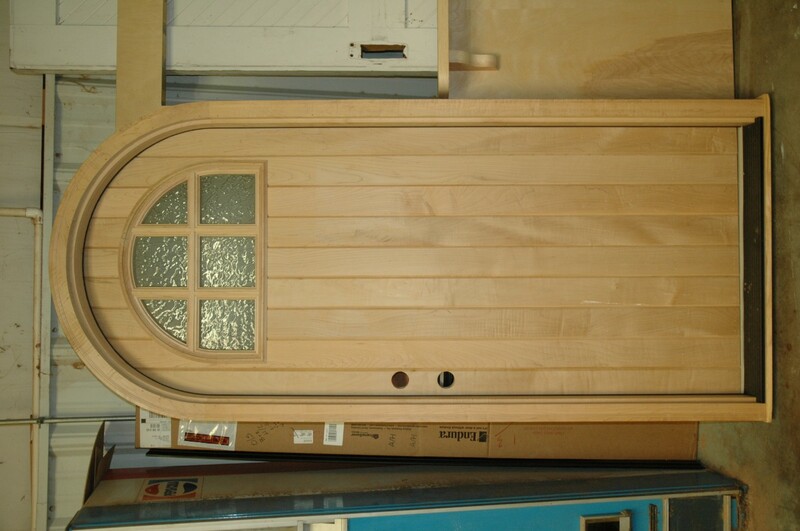 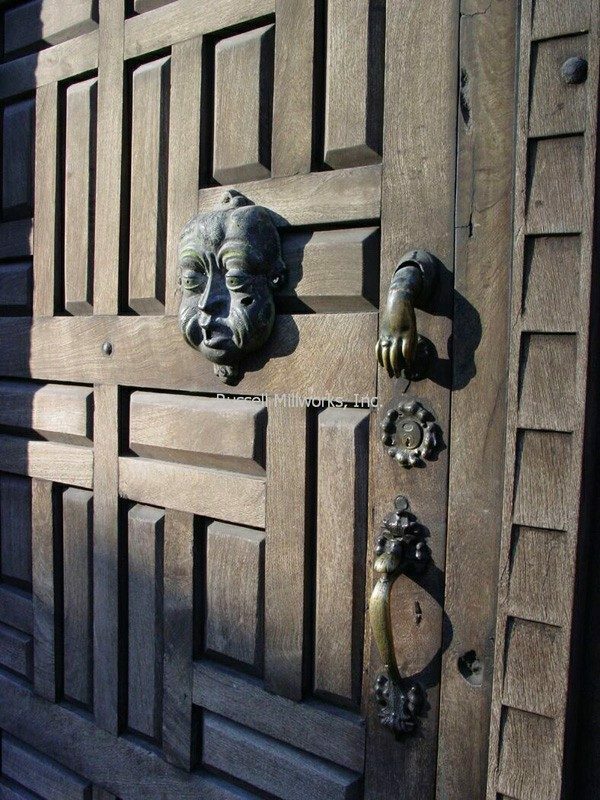 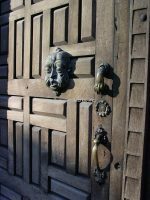 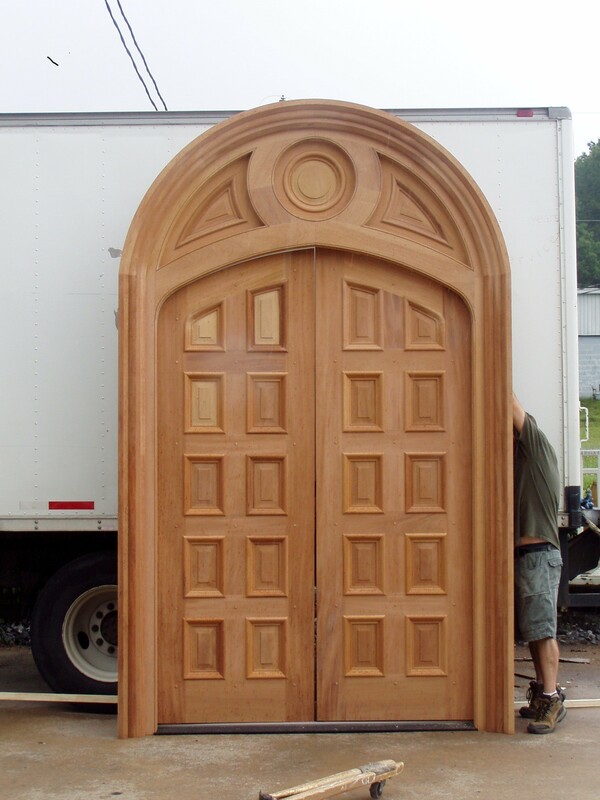 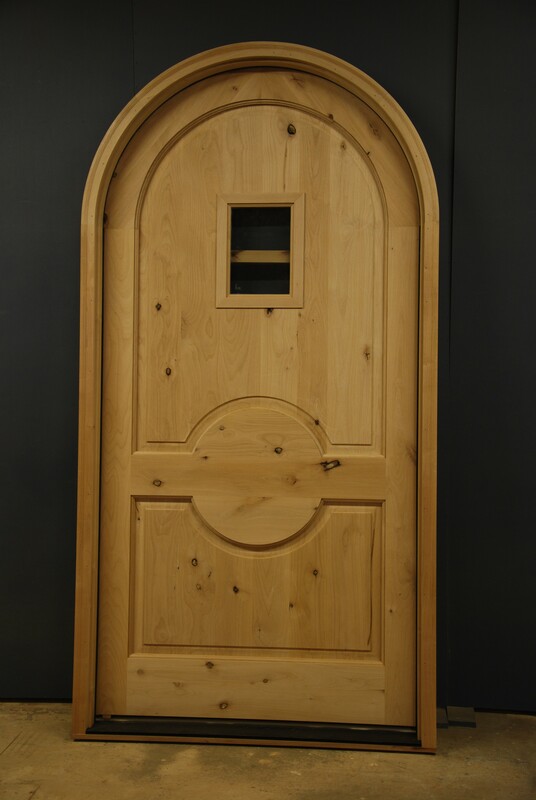 Doors can be built from almost any type of wood, and any shape, style, or construction technique you can imagine can be built. 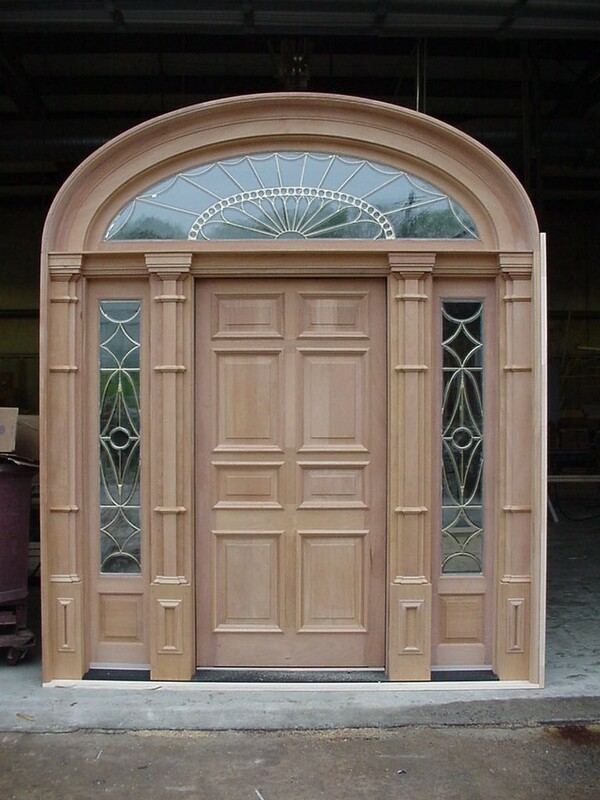 There are many glazing options, and many different types of glass. 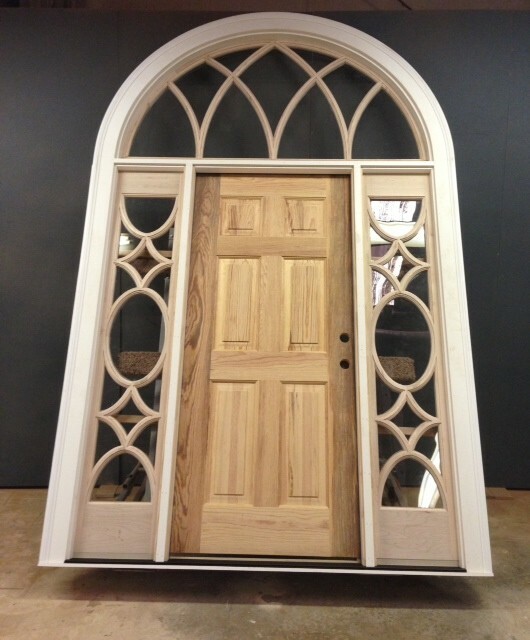 From simple light arrangements to the most elaborate and everything in between, anything can be done. 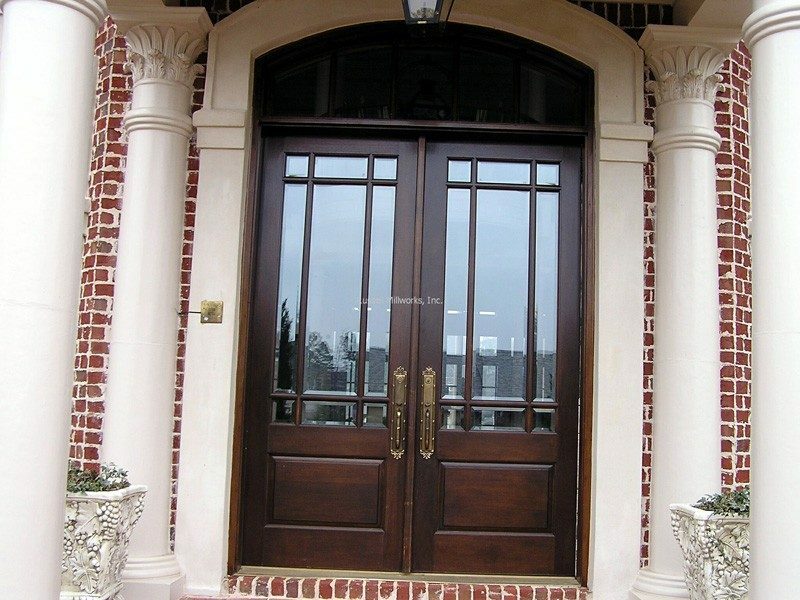 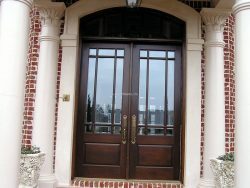 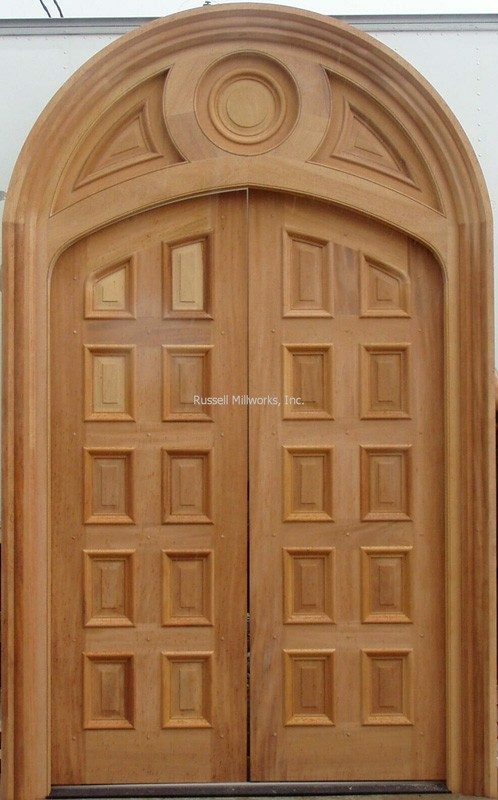 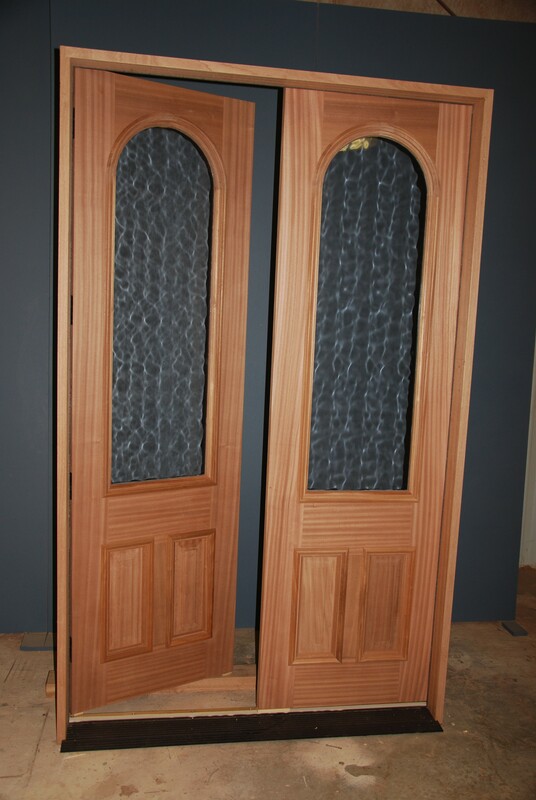 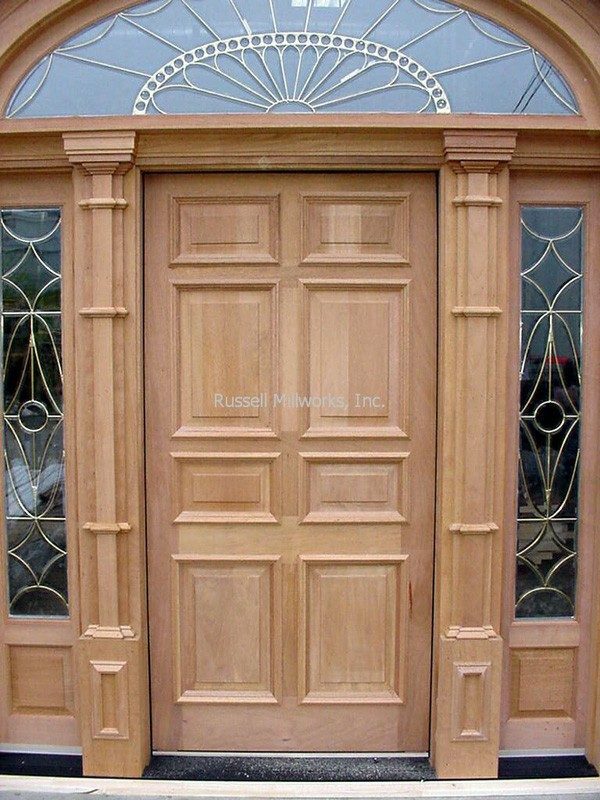 Russell Millworks’ door units combine fine, classic architectural beauty with the very best time-proven construction techniques in use today. 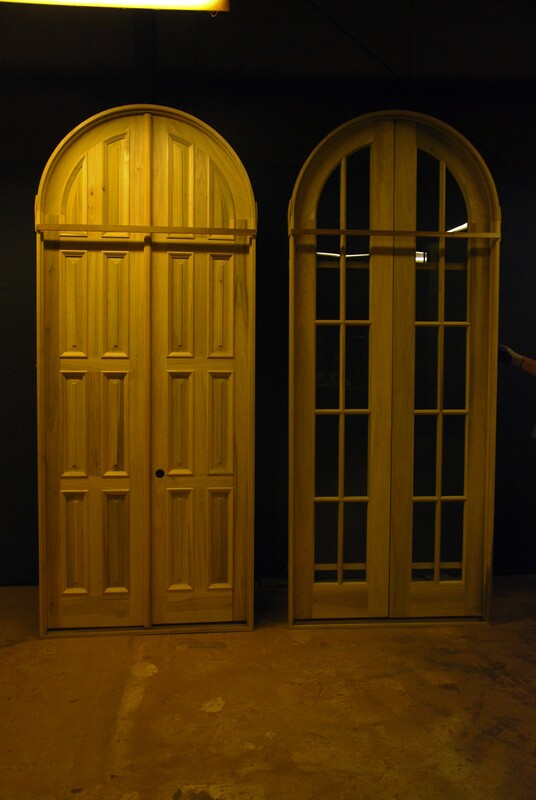 The result is sure to satisfy and survive the test of time and environmental elements. 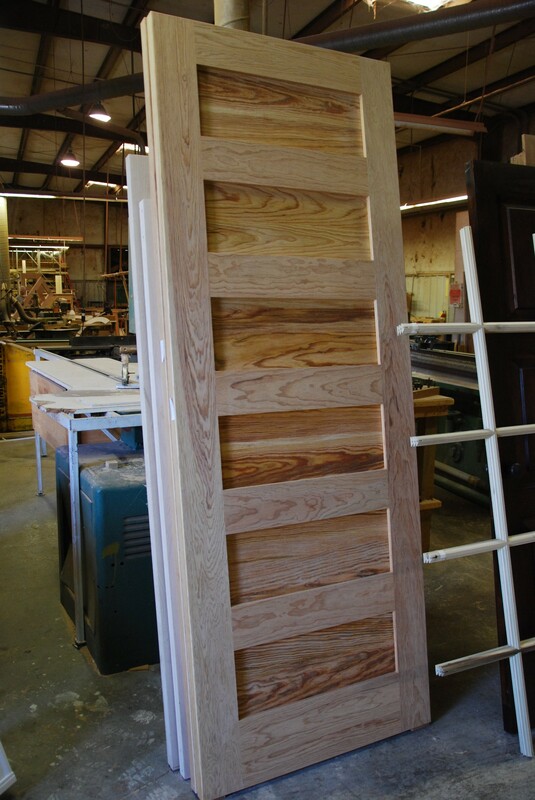 All components are manufactured by us in our plant, so you will know exactly what went into your project. 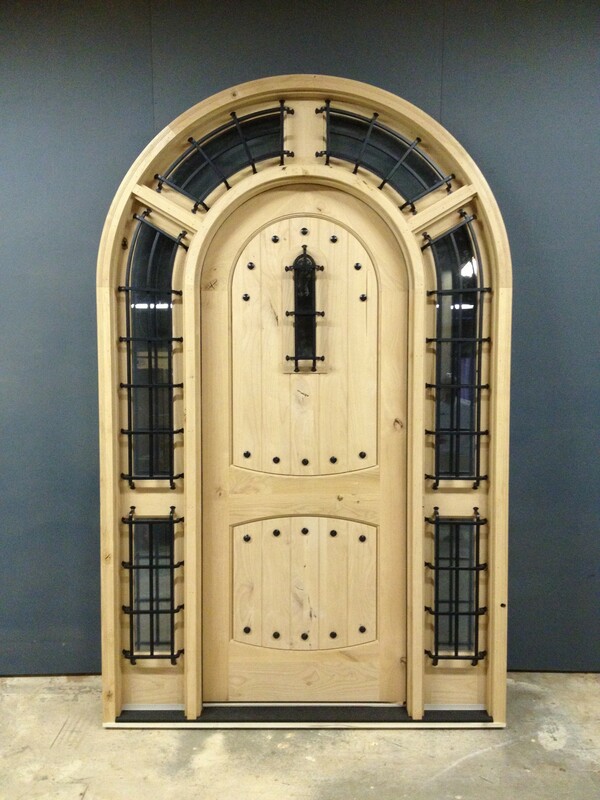 Russell builds its own engineered stiles to assure its quality standards are met. 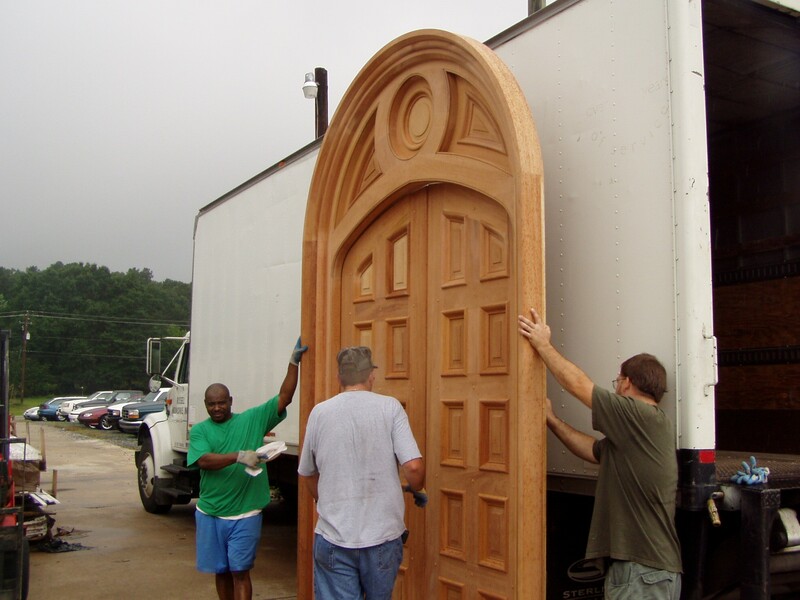 Fine hardwood edgebands and full 5/16” thick surfaces are applied to an FJ core in a cold press for a dependable, rigid structure. 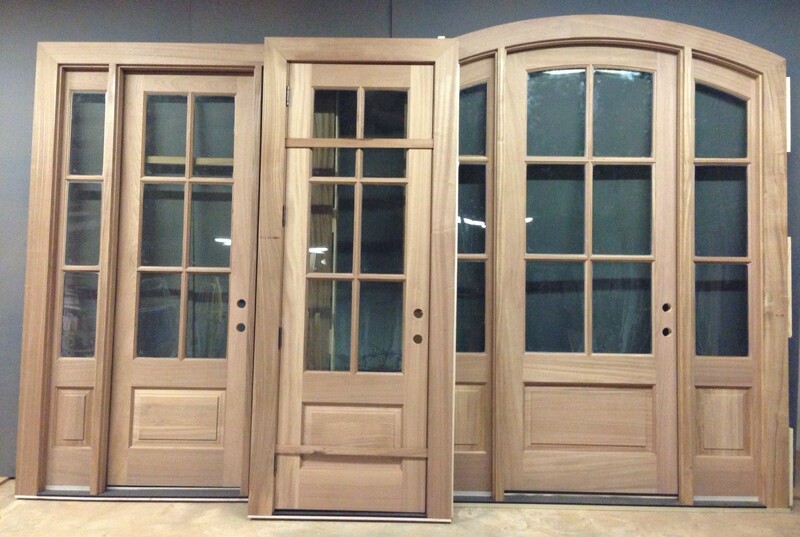 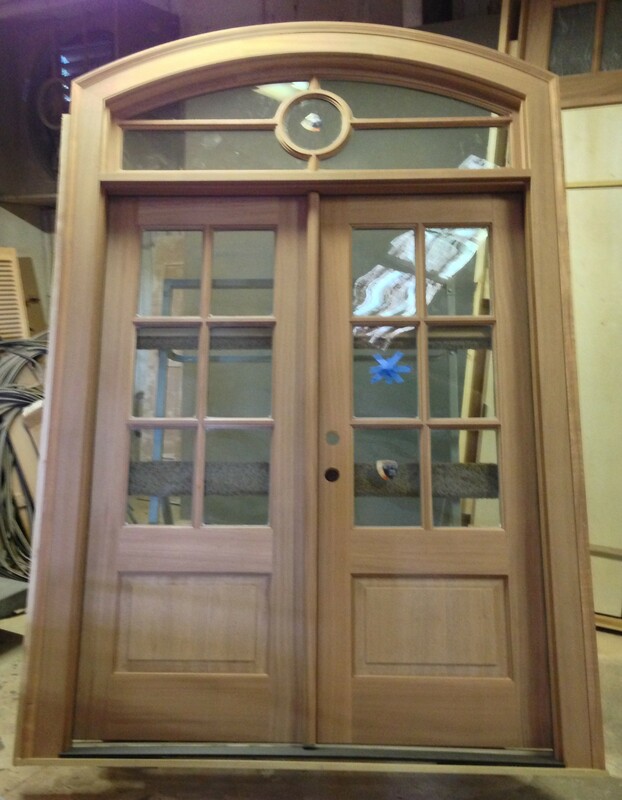 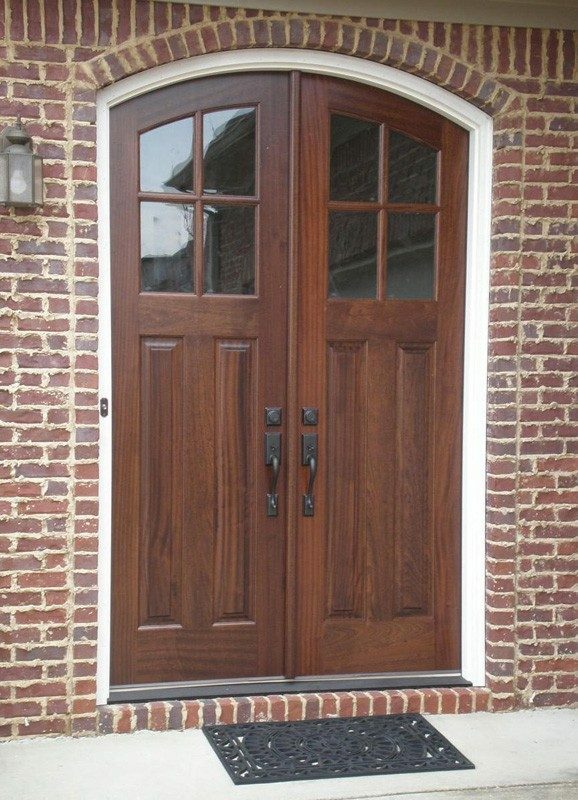 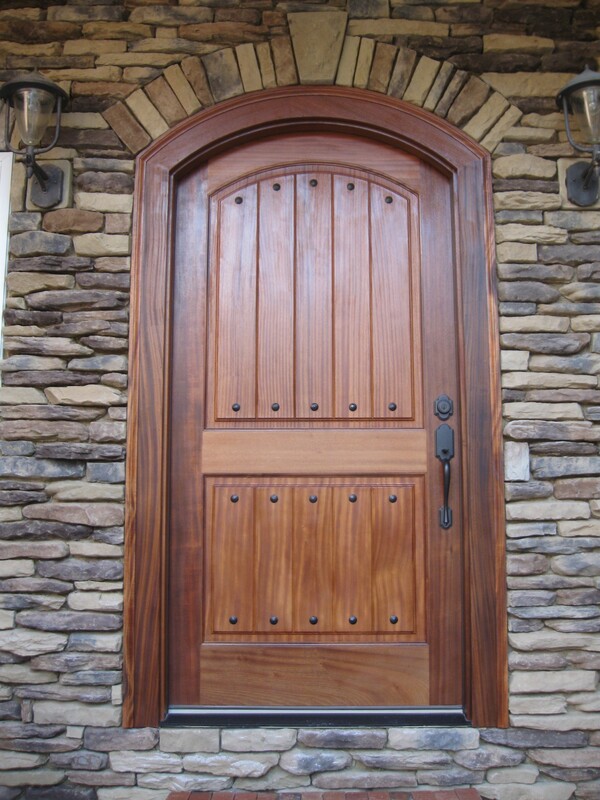 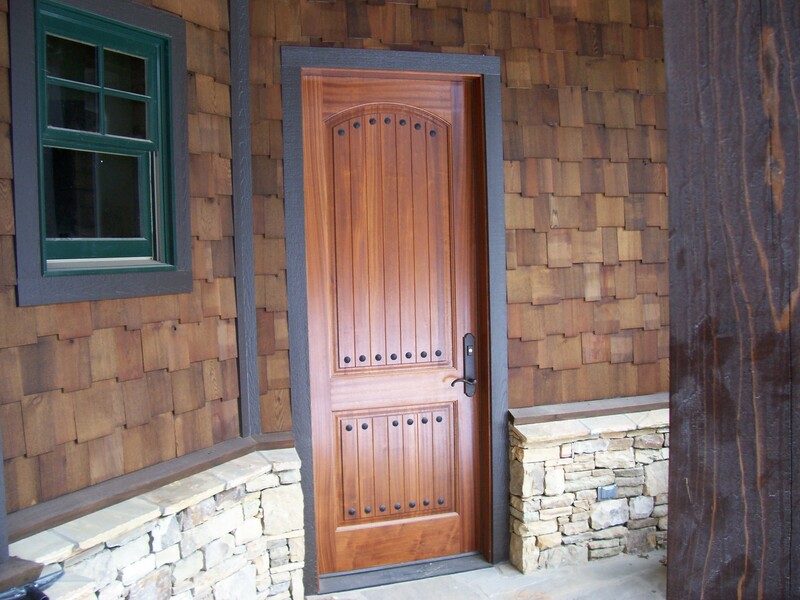 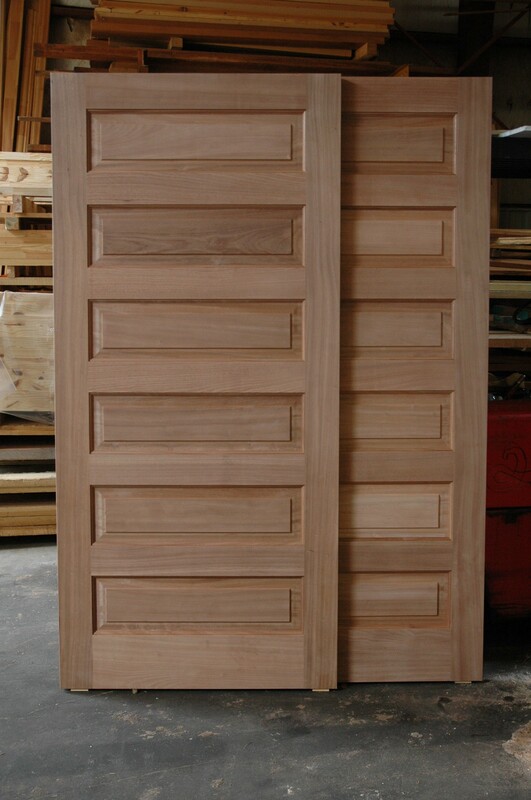 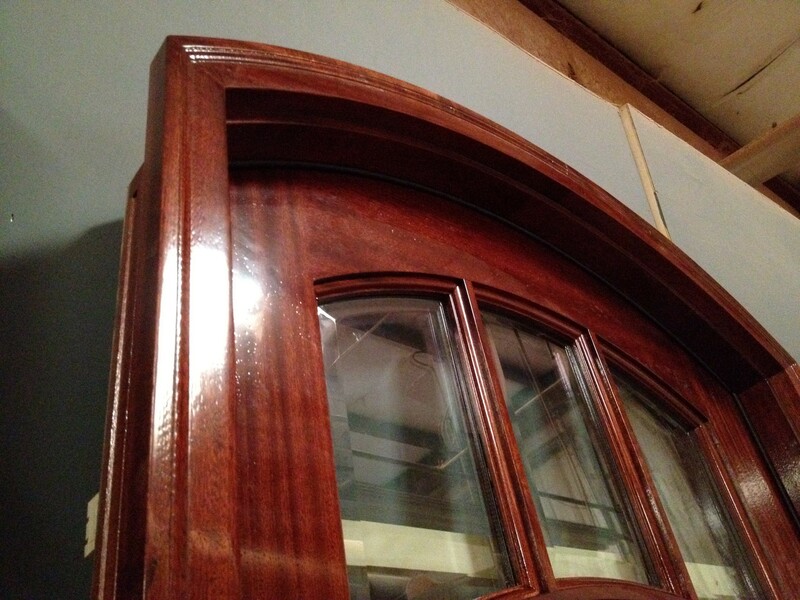 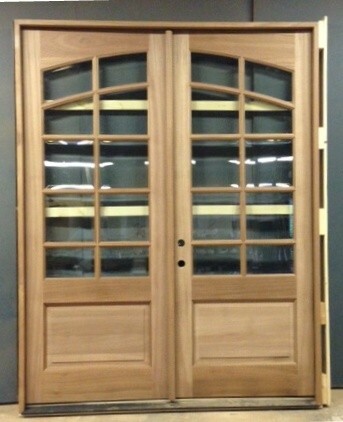 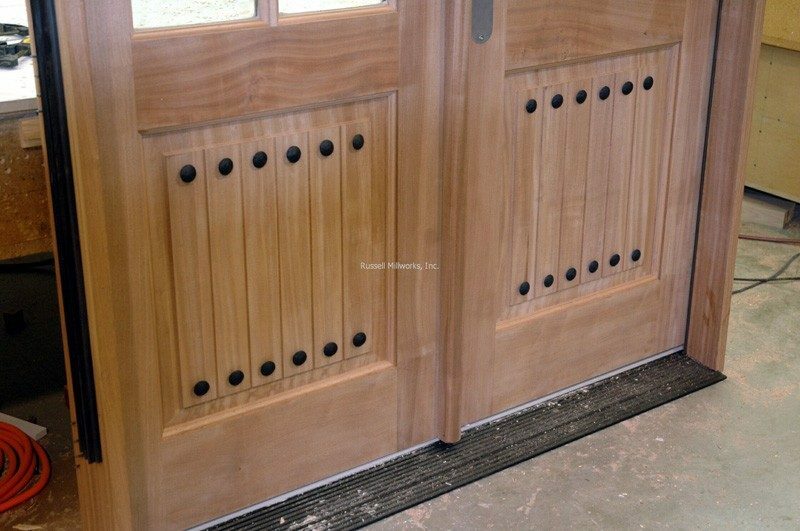 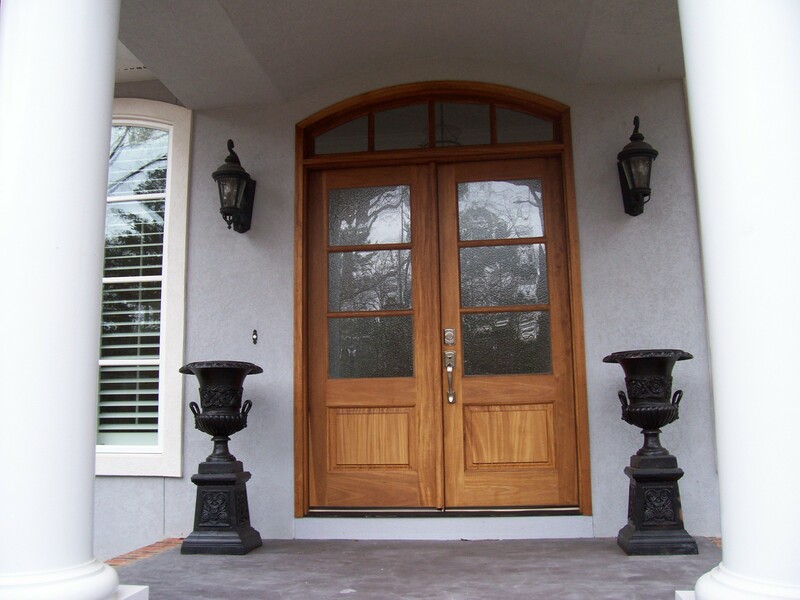 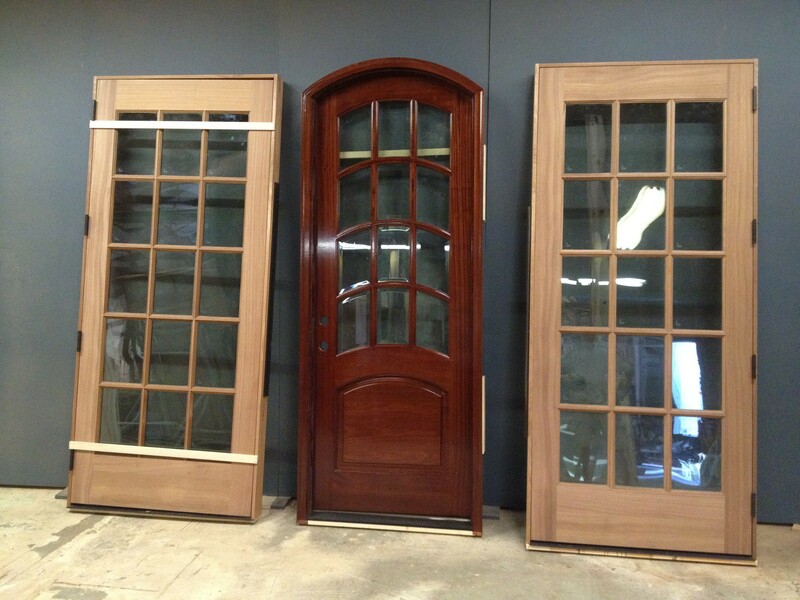 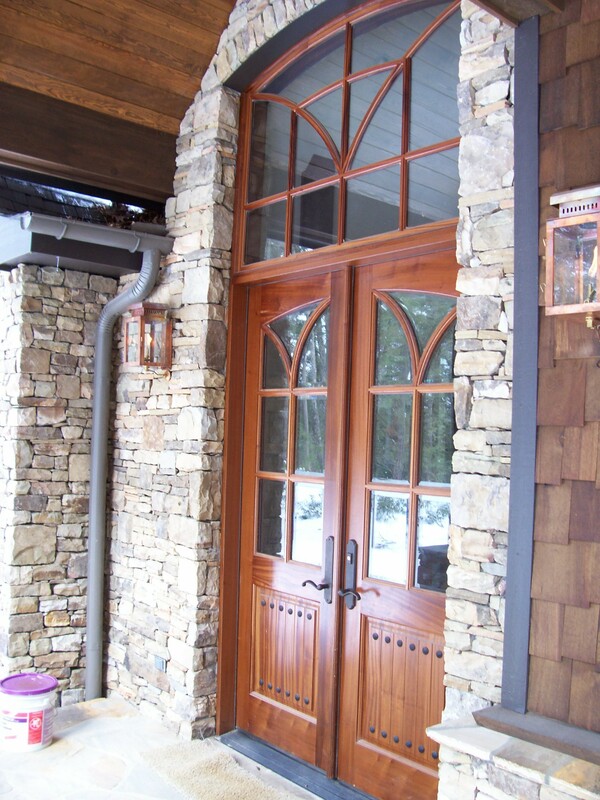 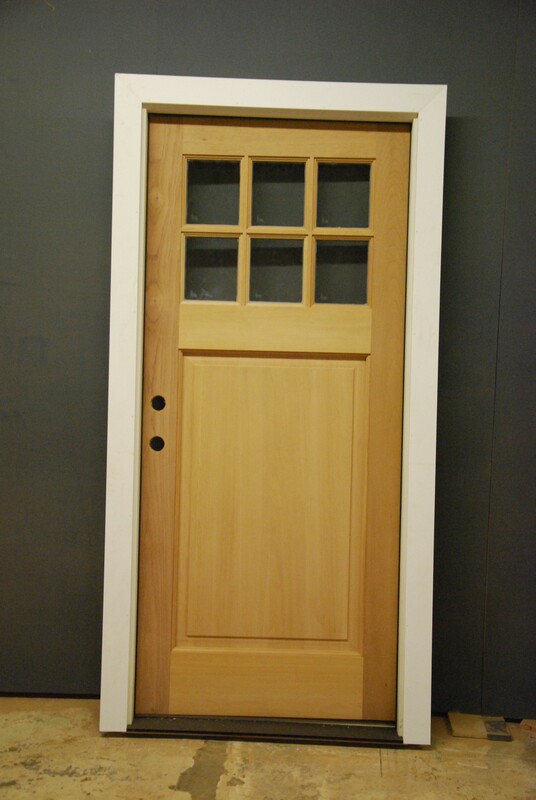 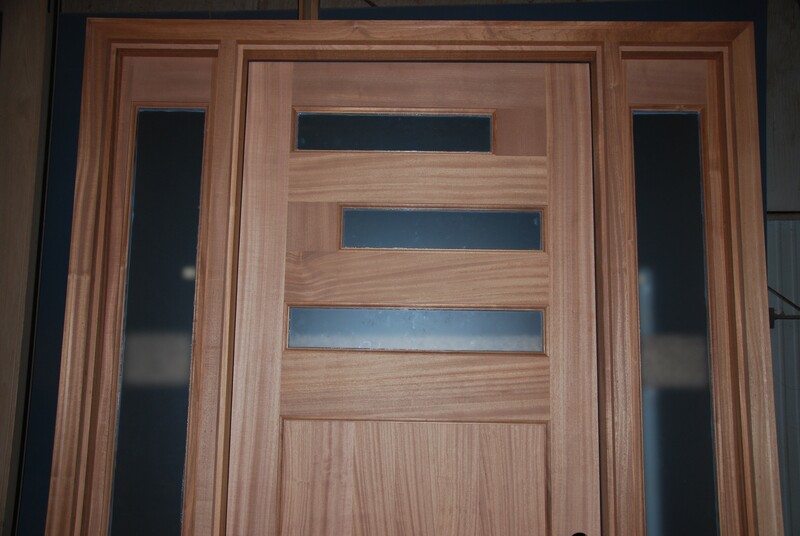 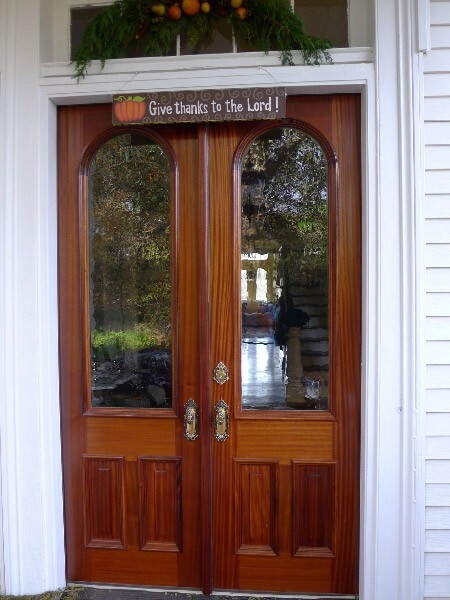 Exterior stain grade door units are furnished with 5/4 kerfed, weatherstripped, and relieved jambs. 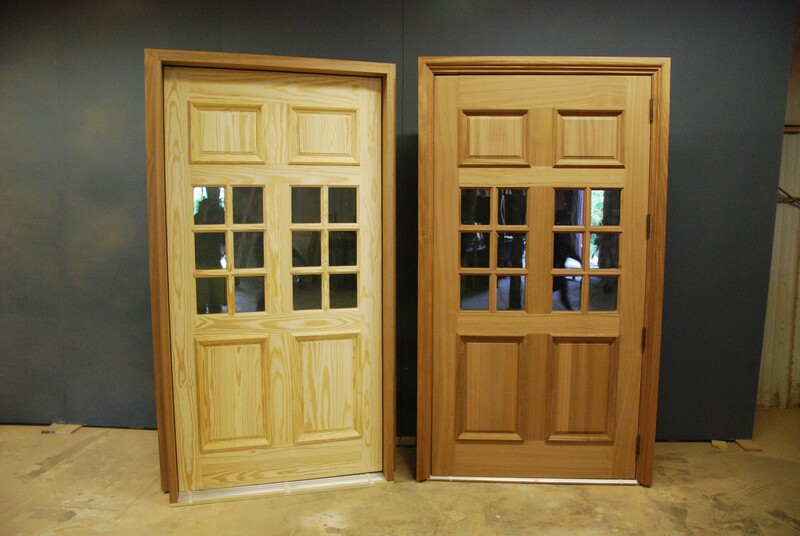 Standard doors are 1 ¾” or 2 ¼”. 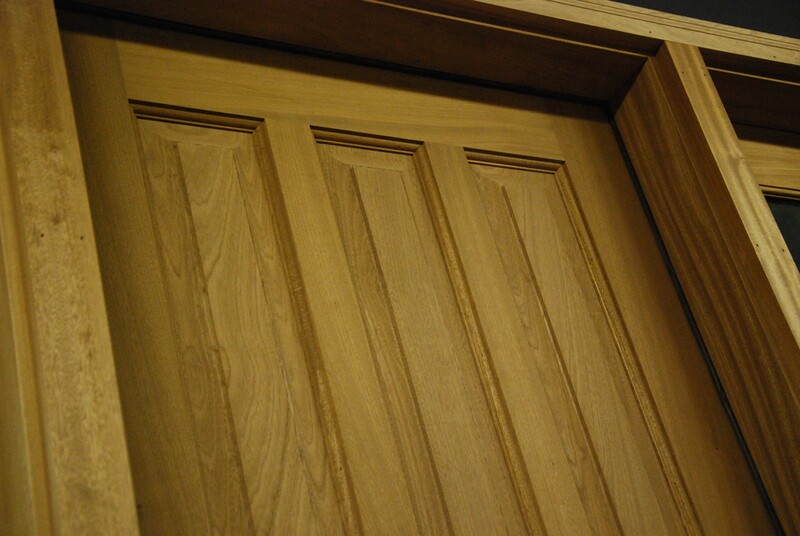 Most of our door slabs are stile and rail construction, fully dowelled. 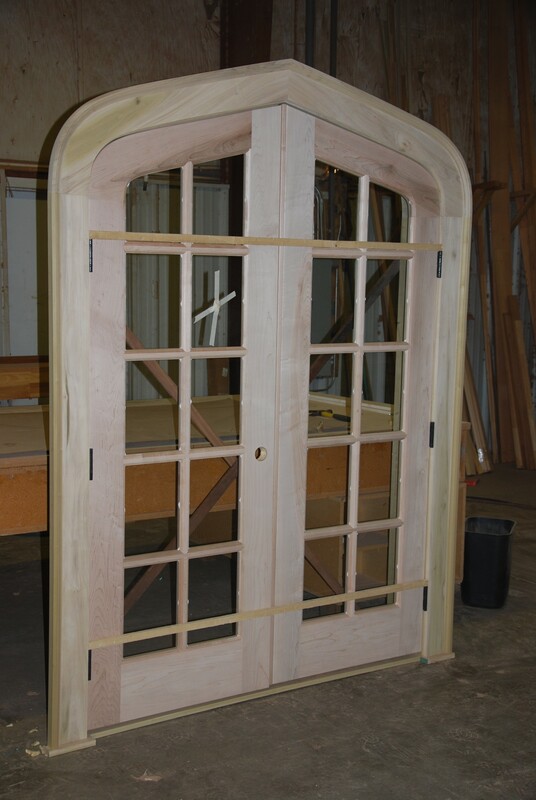 Panels are solid construction with gluing joints for the best chance of surviving seasonal movement. 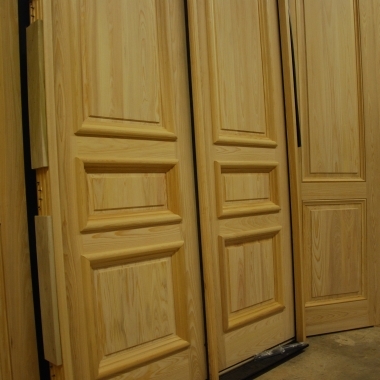 Panels are stopped into the unit from the outside, free to move. 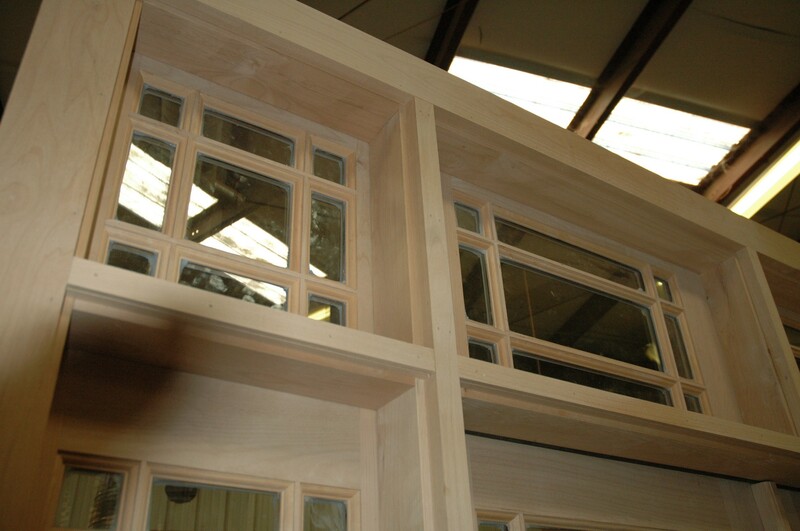 Glazing is also stopped from the outside, and bedded with Truseal GS-2 sealant. 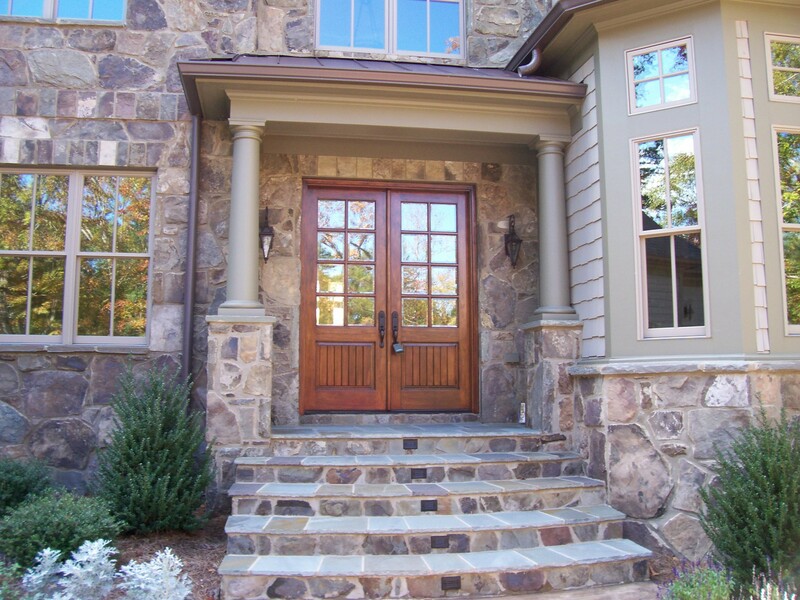 Ample sealant squeezeout will always be visible on our doors and windows. 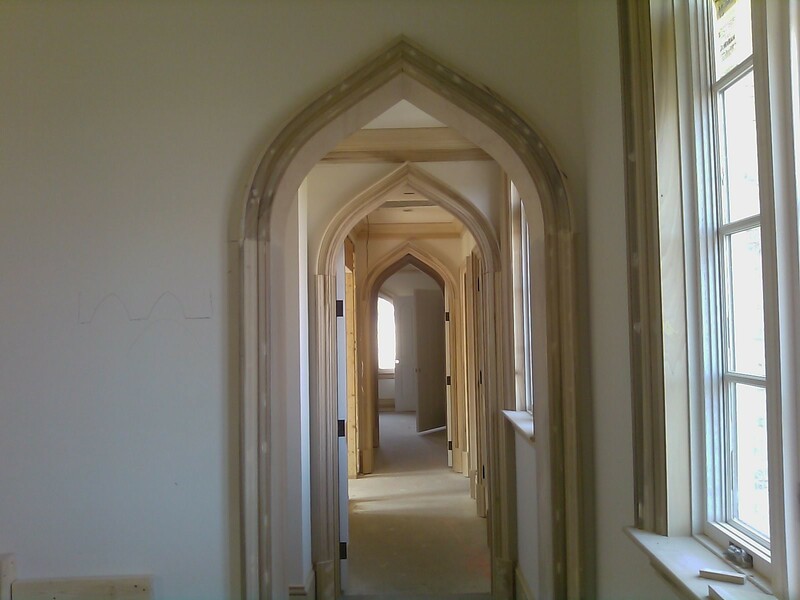 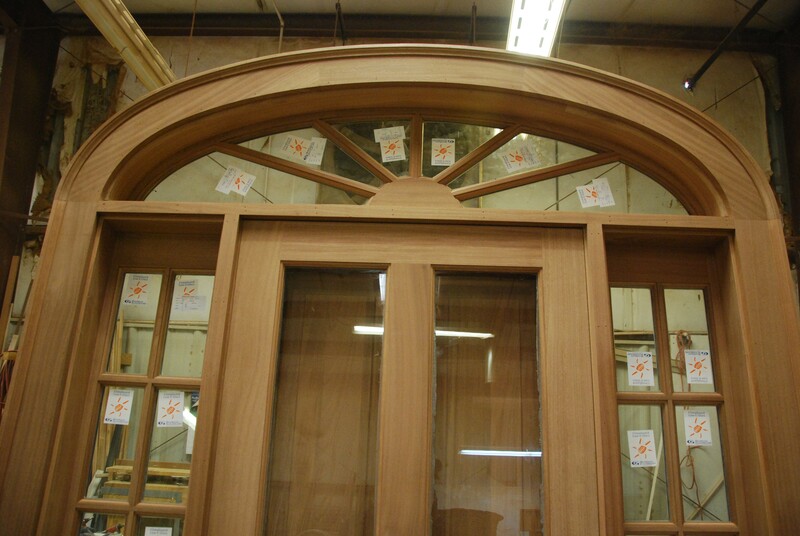 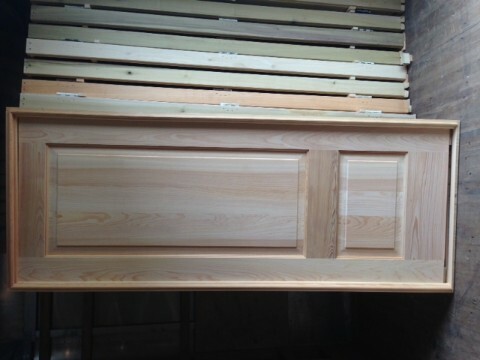 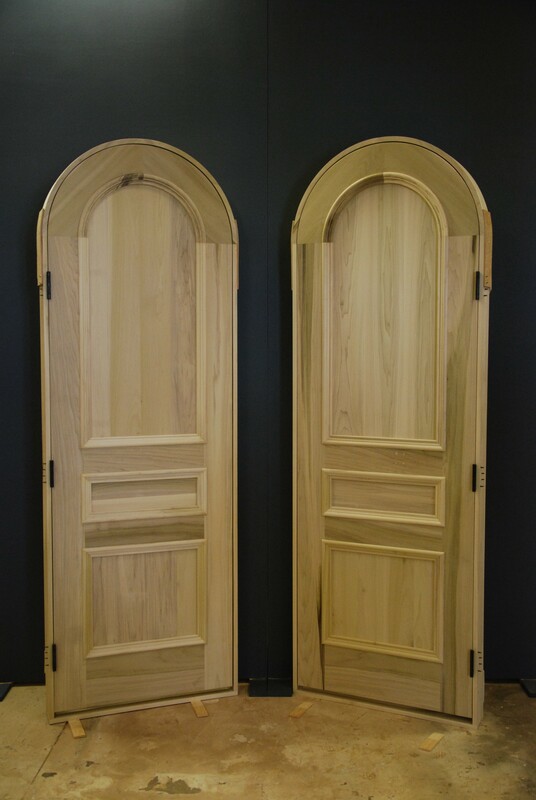 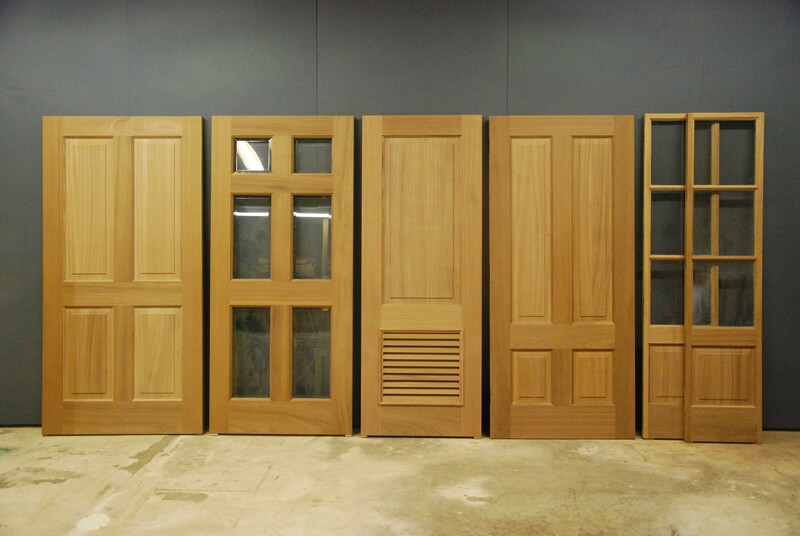 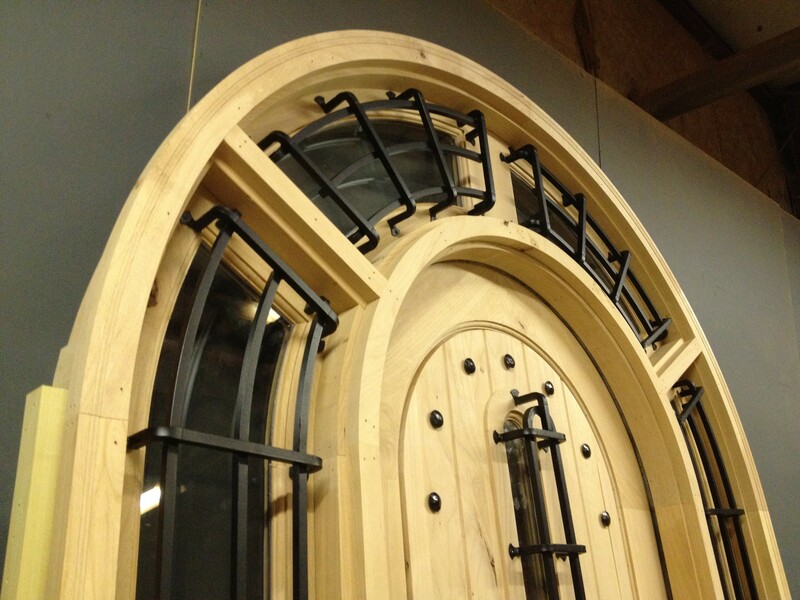 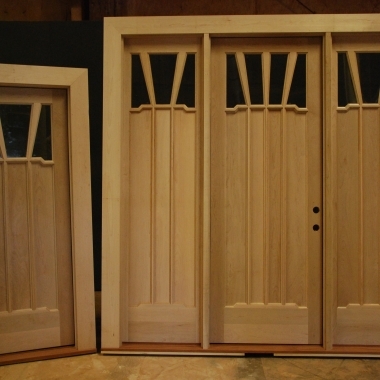 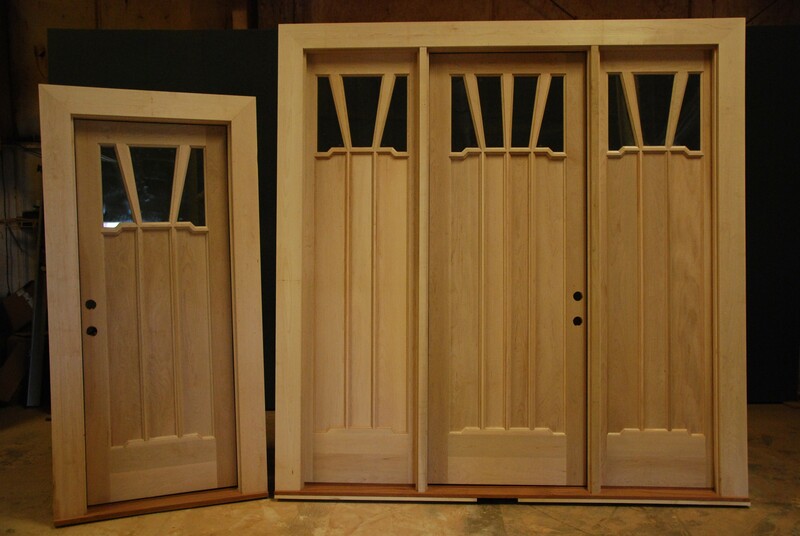 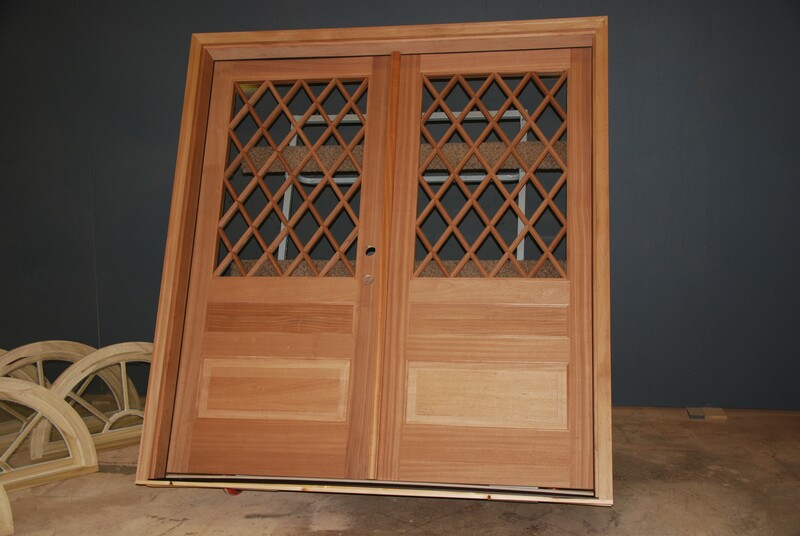 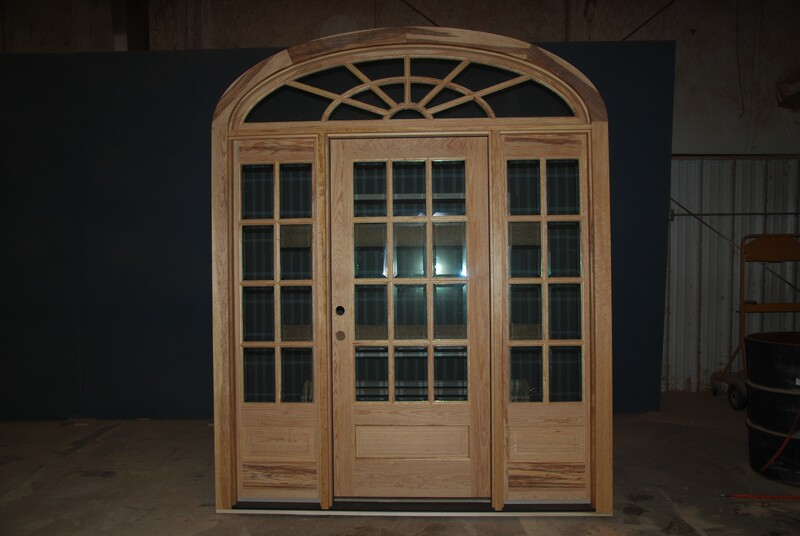 Other construction types are available, such as full flush or V-groove, batten and buck doors. 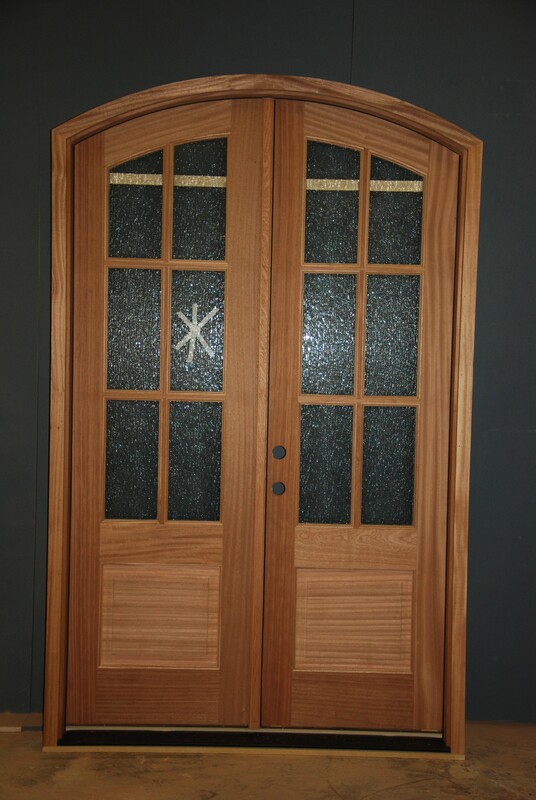 Any panel or glazing arrangement is available.